Is Guillaume Moissiard that Voinnet co-author now under investigation by CNRS and ETH? The research misconduct scandal around the former star plant scientist, CNRS research director and currently ETH Zürich professor Oliver Voinnet is not over, and finally also some of his close collaborators and possible “partners in crime” start to feel the heat. One of Voinnet’s former co-authors is now being investigated by the French research society CNRS and the Swiss university ETH Zürich, according to the available information. It is likely to be Guillaume Moissiard. Over the past few weeks, serious doubt has emerged regarding the figures featuring in several Molecular Biology publications. The CNRS and ETH Zurich have decided to set up a scientific commission of inquiry, with CNRS in the lead and contribution from ETH Zurich, which will be composed of experts. Their role will be to establish the facts. In this context, institutions have a duty to act in strict compliance with ethical standards, which do not allow any public statement to be issued prior to completion of the process in order to ensure that an in-depth analysis is carried out, in which all parties can freely express their views. In the same logic and to guarantee that the inquiry is conducted serenely, the name of the experts forming part of the commission cannot be disclosed at this stage. When the process is completed, the two institutions will decide if disciplinary measures have to be taken. The results and the consequences of the inquiry will then be made public”. With ETH and CNRS involved, one was bound to think about Voinnet. Indeed, the ETH spokesperson explained to the Swiss newspaper Neue Züricher Zeitung, it was not about Voinnet himself, but about his former co-author, who was however not named. This makes perfect sense, because it is highly unlikely Voinnet tricked out all of his lab members by manipulating data in total secret and without their knowledge. Most scientists would notice if their own first-author papers contained different research data as what they originally submitted to their principal investigator (PI). Sadly, too often it is the case that such junior researchers eagerly accept the deal of papers and career in exchange of selling out their basic principles of research integrity. It is therefore to be expected that several of former Voinnet lab members, many of whom are now PIs and professors themselves, knew about and quietly tolerated his manipulations of their data. Or were even actively engaged therein. Unfortunately, so far ETH chose not to investigate or even interview any of them, not even his ex-team member and presently ETH professor as well, Constance Ciaudo. CNRS exercised only a symbolic punishment over Patrice Dunoyer, who admitted to having personally manipulated data in three now retracted publications (Dunoyer et al., Plant Cell, 2004; Dunoyer et al., EMBO J, 2010 and Sansregret et al., PLoS Pathogens, 2013). This scientist, who was tasked to head Voinnet’s Strassbourg lab when the boss moved to Zürich, was apparently excluded from CNRS employment for a period of 1 year, of which however 11 months were suspended (details here). Dunoyer has no connection to ETH and still remains in his post as group leader at CNRS in Strasbourg. Who can it be then? We know the investigation is led by CNRS and supported by ETH. Which means: this scientist used to produce the questionable research in Voinnet’s former lab in Strasbourg and has meanwhile moved to ETH Zürich. Which would make Ciaudo a candidate, but in case of tenured ETH employers it is unlikely the lead of investigation would go to CNRS. Or, the alleged co-conspirator is now working at some CNRS institute in France, after having left Voinnet’s Swiss lab. Like Guillaume Moissiard. He had to retract a fraudulent paper in PNAS, which he published together with Voinnet while still in France (Moissiard & Voinnet 2006). he is also first author on a Voinnet lab paper (Moissiard et al, 2007) which was proven to contain manipulation in every single figure. Yet the journal RNA chose to only correct it (see my report heremy report here). 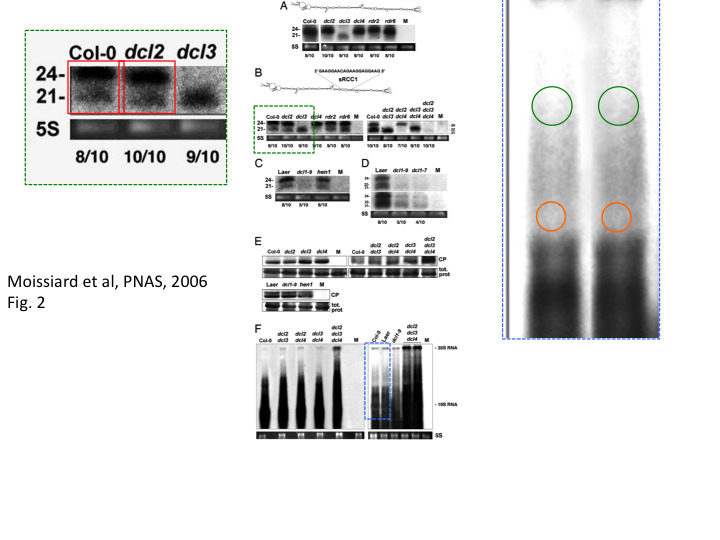 Another paper with Moissiard’s involvement was corrected by EMBO J for some manipulated data (Haas et al 2008). After such successful research at the CNRS institute in Strasbourg, Moissiard then moved together with his boss to Zürich and recently left. Where to? He apparently got a new research job with CNRS, as a group leader, according to this information. All available evidence fingers Moissiard. There are actually no other co-authors on manipulated Voinnet papers who fit the above described pattern. Unless of course there are more manipulations, which do not know about yet. In fact, this is not that unlikely. A previously corrected scientifically apparently irreproducible paper in Science (Dunoyer et al 2010) proved to have even more worrisome data irregularities than the journal chose to see (see new PubPeer concerns which came up after the correction). The journal keeps silent about this. Cell meanwhile simply refused to scrutinise suspicious Voinnet papers because his original data was unavailable (see news post here). Update 14.10.2016. A “press release by the Academy of Sciences regarding Olivier Voinnet” suggests that the above discussed joint CNRS-ETH investigation does not concern some Voinnet co-author (as ETH spokesperson claimed), but that the new joint investigation is about the big man himself, who is also member of this elite French Academy. How can @AcadSciences know who is targeted by the investigation? Why consider it is more about Voinnet than the first one? “A joint commission CNRS-ETH Zürich thoroughly examines the practical and scientific approaches of Voinnet Olivier and his team. Olivier Voinnet was elected to the Academy of Sciences in November 2014 before the questioning of several of his publications. To date, he has not been received under the Dome, at the solemn act of enthronement of all members of the Academy of Sciences. Once the findings of the Joint Committee CNRS-ETH known, our Academy will then take the necessary decisions. During this waiting period, our Society will refrain from comment”. It is very hard to believe that in what concerns to flawed papers only the last or the first author have responsibilities. 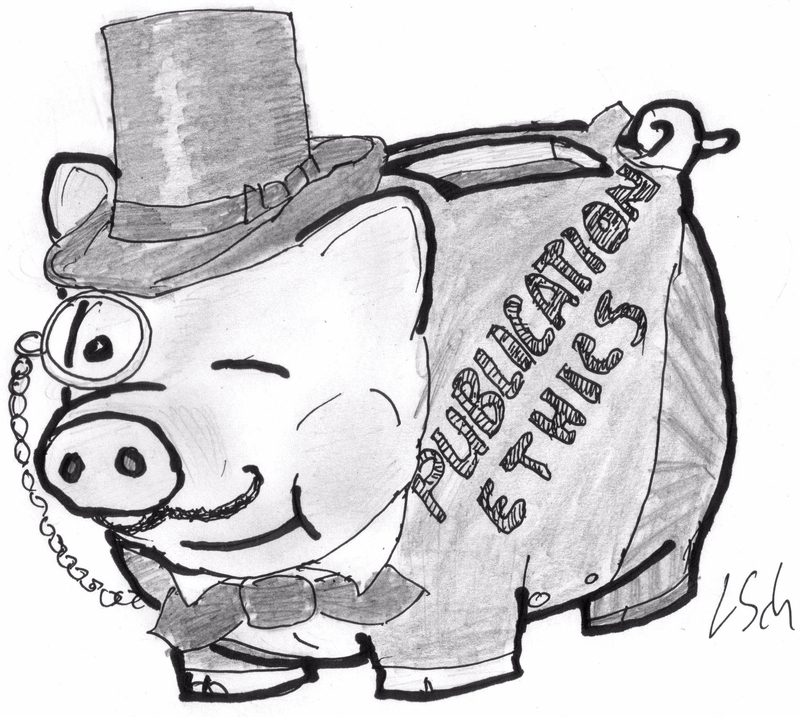 As it is stated in this post, “too often it is the case that such junior researchers eagerly accept the deal of papers and career in exchange of selling out their basic principles of research integrity. It is therefore to be expected that several of former Voinnet lab members, many of whom are now PIs and professors themselves, knew about and quietly tolerated his manipulations of their data. Or were even actively engaged therein”. Also, it happens many times postdocs or other personnel from a certain are so afraid of loosing their jobs that they will do exactly everything what their Boss tells them to do, no matter what things he/she ask to be done. What happened to this world? One would think that sending a one-sentence email to CNRS and ETH asking “Is Guillaume Moissiard being investigated?” would elicit a simple yes/no response. Has anyone contacted Moissiard for his opinion? CNRS and ETH should investigate all the co-authors from Voinnet’s papers and not just one of his co-authors if they hadn’t done that yet. No, and I will explain to you why. It is the duty of journalists to make information public, see Wikileaks etc (though admittedly, ETH did once declare their Voinnet investigation a Swiss federal secret and threatened me more or less directly with criminal charges). However, in the Ryan case it was most likely an inside source at the University of Dundee (likely a senior faculty directly involved with the case), who provided the 4 newspapers with the detailed sensitive information, which they therefore deemed as sufficiently verified. My article on Moissiard on the other hand is based solely on publicly available information, there isn’t even an inside source whom you could accuse of leaking sensitive data. Is Trump the new Hitler, in a sense that he is invoked to end any debate by comparing someone to him? I see there is hardly any point to continue, so thank you anonymous commenter for voicing your concerns.